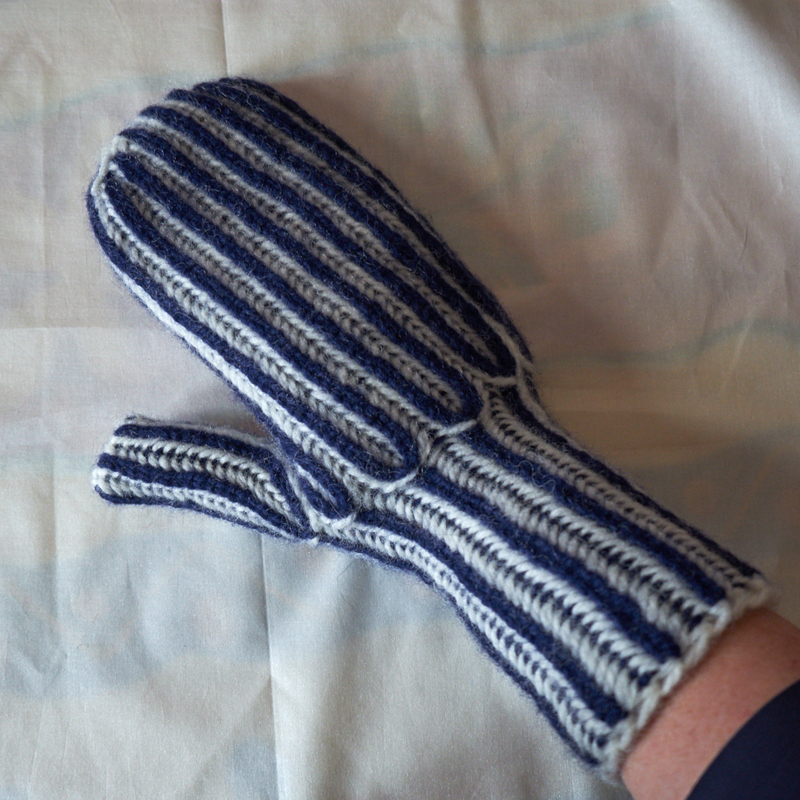 Remember that I knitted some brioche mittens last year? Well, I ruined them this weekend. These mittens were a bit too large for me, and they also let through the wind a bit. 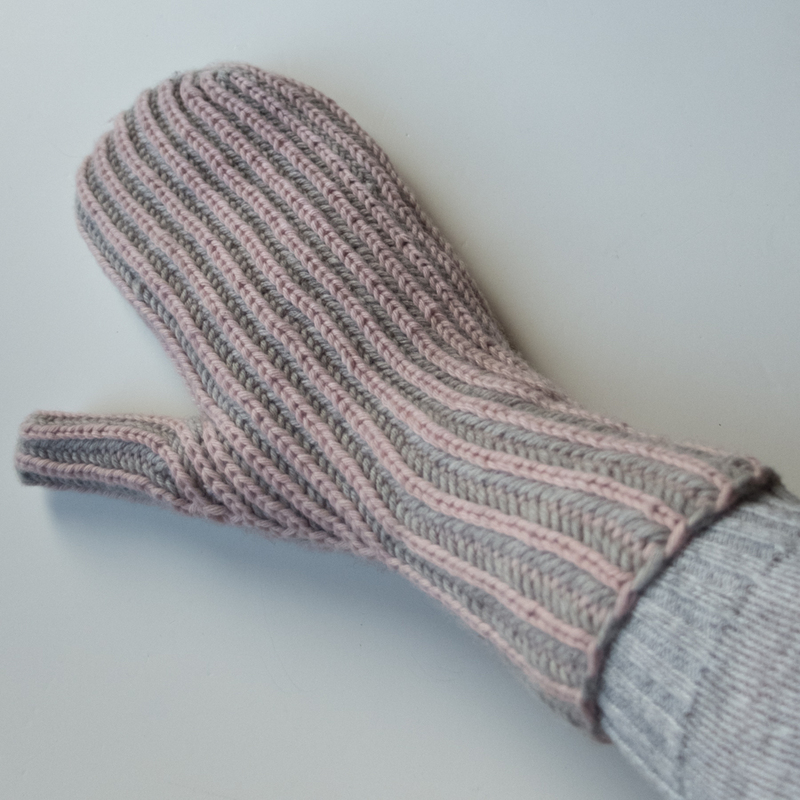 Last week, I gifted a pair of similar brioche mittens to my mother-in-law (she was so happy! ), which I had fulled a bit to make them warmer. This weekend, I decided to do the same with the original mittens. I was going to full them so that they would fit better, and wouldn’t let the wind blow through. Good idea, in theory. But you know what it’s like, in theory there’s no difference between theory and practice. But in practice, there is. Not so bad, you say? Well, look at the next picture, then. So I’m pondering what to do now. 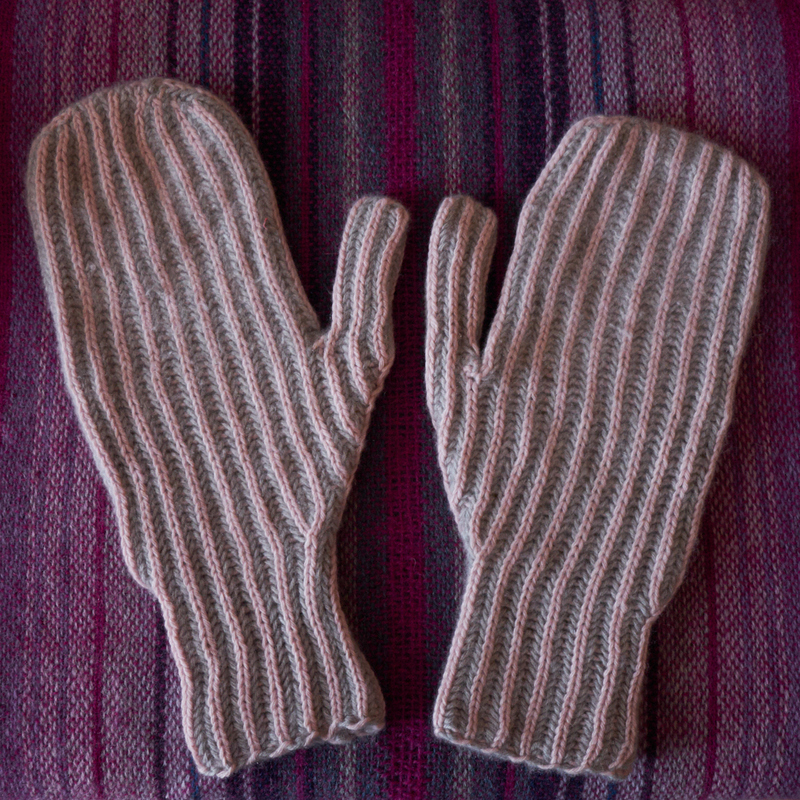 I might line them and have some very thick and warm mittens for elegantly boxing in the snow. 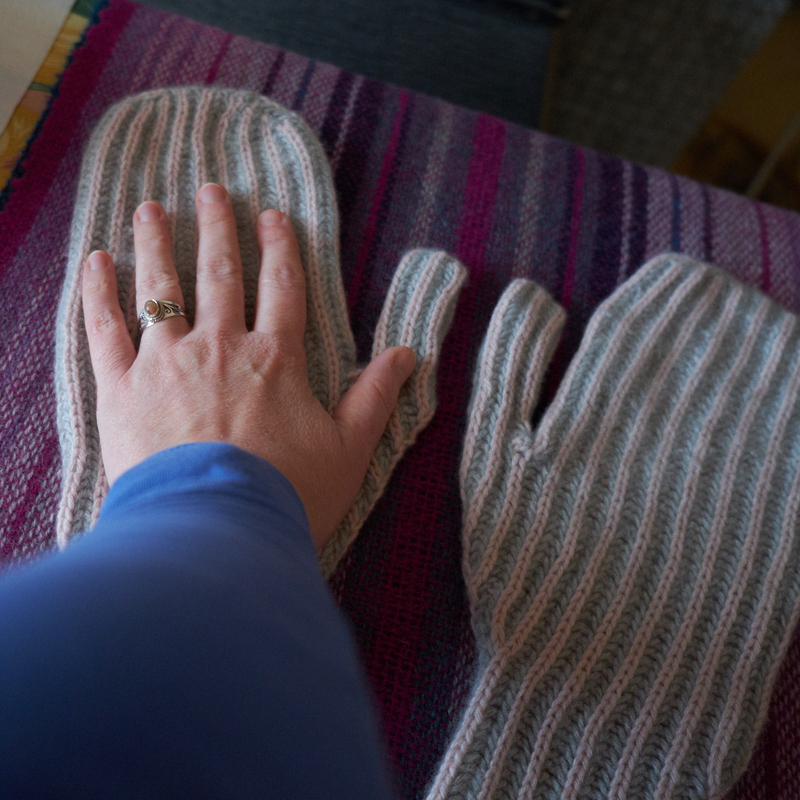 Or I may turn them into really fancy over mitts… Or felt them even more? If that is even possible?